Posted at: 3/15/2010 04:32:00 PM . 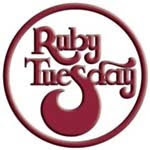 Fans of Ruby Tuesday on Facebook can get a 25% off coupon for creating a bracket and entering a sweepstakes. The coupon is just for entering so even if you don't win, it's still a great deal.